Stop by our open house! Click Here for more information. NPI is built on the foundation of providing our clients the level of service they deserve, and over the past 30+ years we have done just that. 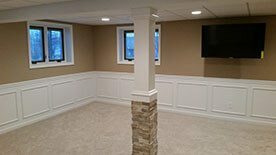 From the initial, free estimate through the final walk through, we have the knowledge required to get you the basement of your dreams. We approach every job with integrity, passion, and commitment to give you the best service & value. 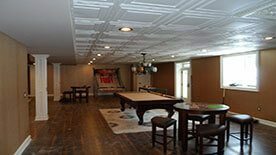 We are looking forward to helping you turn your dream basement into reality. 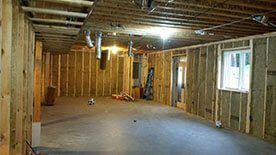 An average basement remodeling project offers a 70.3% payback, making it one of the smartest home improvements! We don’t do “cookie-cutter” and boring. Every project is unique, and custom crafted for our clients. 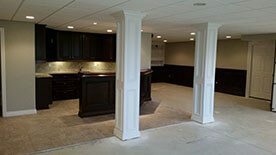 Our high-quality basement & kitchen renovation solutions are sure to exceed your expectations. Our experience, creativity and commitment to quality are the foundation of our success. 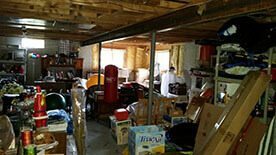 Give us a call, shoot us an e-mail, or complete the form below to receive a FREE, NO-OBLIGATION estimate for a basement of your dreams. Get an accurate, 3-D rendering of the finished project before we start. What are you waiting for? Get some ideas and a free estimate! Call us today- we LOVE meeting new people!